Composite decking is available in many different earth-toned colors and finishes designed to mimic wood, so they can work well with a wide variety of personal styles. If one of your new year’s resolutions is getting new decking for your home, you are probably sorting through the countless options (and maybe even getting a little bit overwhelmed!). 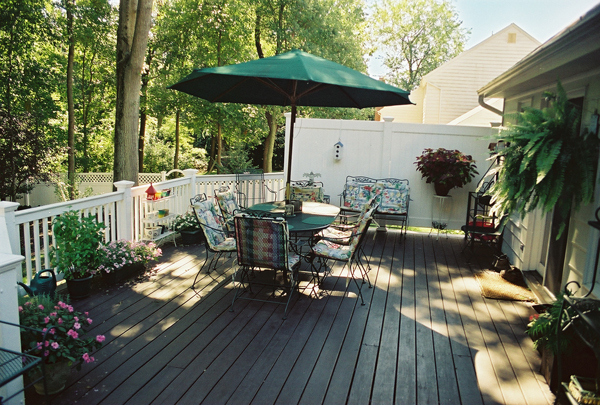 Here are some of the many pros and cons of a composite deck for your home. Composite decks are made from recycled wood and plastic, so they are strong and very environmentally friendly. Composite decking is available in many different earth-toned colors and finishes designed to mimic wood, so they can work well with a wide variety of personal styles. Composite decking can come in a plank form, just like wood decking, or in new tiles. If you have a sturdy base deck already in place, you can use composite decking tiles to cover whatever surface area you would like without building an entirely new deck. Why Is Composite Decking a Great Option? Why Is Composite Decking Not for Everyone? Ready for the Composite Deck of Your Dreams?